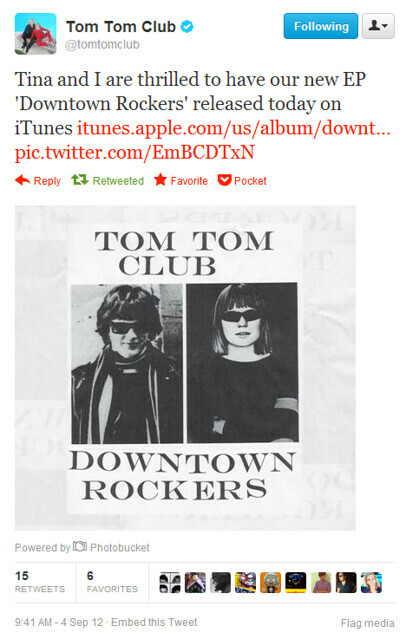 Tom Tom Club 이 The Penelopes가 만든 “You Make me Rock and Roll”의 리믹스 버전을 막 내놓았다. 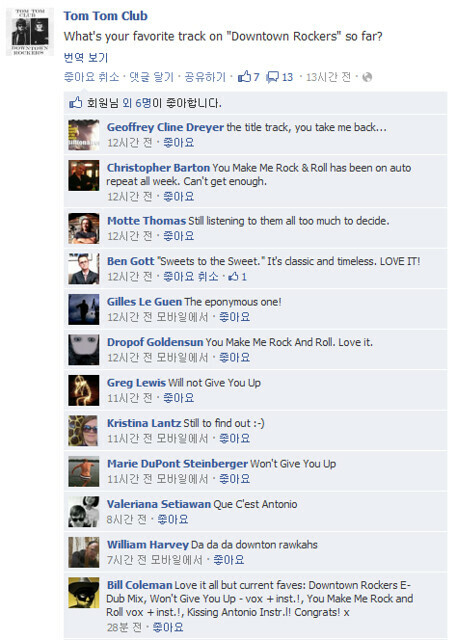 오리지널 곡은 “Downtown Rockers”에 수록되어 있고 The Penelopes remix는 무료로 여기서 다운받을 수 있다. Tom Tom Club 의 새 앨범 중 Kissing Antonio의 뮤직비디오다. 이 작품은 TH의 멤버들이 졸업한 로드아일랜드 디자인학교의 재학생들의 합작품이다. As a long-time fan of one of the greatest rock bands ‘Talking Heads’, it’s good to see that the members of the band are still working hard in the music business in spite of their breakup. Band’s ex-frontman David Byrne released a new single ‘Who’ with the help of a famous female artist ‘St. 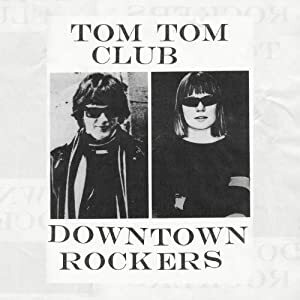 Vincent’, and Tom Tom Club, a kind of side project of Talking Heads and whose members are Chris Frantz and Tina Weymouth, started to sell their new EP ‘Downtown Rockers’ online. What really amazed me is that the songs of David Byrne and Tom Tom Club are not just old-fashioned songs that appeal to ’80s rock-n-roll fans and they are rather contemporary and state-of-art. This is partly because they are great musicians and so have kept up with the pop music trends, and partly because current music styles, such as danceable funky beats and exotic melodies, are based upon the great funky new wave band ‘Talking Heads’. That’s why they are not falling behind younger musicians. One of my favorite singes in ‘Downtown Rockers’ so far is ‘Sweets to the sweet’, which has a sophisticated but catchy melody. 현재 Tom Tom Club이 진행 중인 프로젝트는 다섯 곡이 담긴 EP를 만드는 작업이다. 우선 이 앨범에는 스페인의 일렉트로니카 그룹 the Pinker Tones의 “Love Tape” 리메이크가 포함될 예정이다. Tom Tom Club, 결성 30주년 기념 앨범 낼까? Tom Tom Club 이 그룹결성 30주년을 기념하여 새 음악으로 앨범을 내는 것을 고려중이라는 보도다. 그들이 마지막으로 앨범을 낸 것은 11년 전이다. 프란츠는 “더 이상 정규 앨범을 내는 것은 고려치 않고 있다. 싱글이나 EP 정도로 생각하고 있는데, 소리가 괜찮은 EP들을 충분히 갖게 되면 함께 모아 앨범을 낼 수도 있다. 오늘날 대부분의 사람들은 그저 좋은 음악을 듣는 것에만 관심있는 것 같다.”라고 이야기했다.